Analysis of cell-free DNA from blood could provide an alternative method for identifying genomic changes in the tumors of patients with advanced lung adenocarcinoma. We compared the performance of droplet digital PCR (ddPCR) and Cobas® EGFR Mutation Test v2 (Cobas) for detecting EGFR mutations in cell-free plasma DNA. Plasma samples from patients with advanced EGFR-mutated lung adenocarcinoma were analyzed for EGFR T790M, exon 19 deletions, and L858R mutations by both ddPCR and Cobas. T790M testing was performed in 354 plasma samples collected from 129 patients. The concordance rate between ddPCR and Cobas for T790M, sensitivity, and specificity were 86, 100, and 85%, respectively. Exon 19 deletions were analyzed in 196 plasma samples obtained from 71 of the 129 patients using both platforms. The concordance rate between ddPCR and Cobas for exon 19 deletions, sensitivity, and specificity were 90, 92, and 89%, respectively. L858R mutations were studied in 124 plasma samples obtained from 44 of the 129 patients using both assays. The concordance rate between ddPCR and Cobas for L858R, sensitivity, and specificity were 90, 91, and 89%, respectively. In patients who progressed under treatment with an EGFR TKI (n = 50), the T790M positivity rate was 66% using ddPCR, but only 24% using Cobas. We observed a high concordance between ddPCR and Cobas in detecting EGFR mutations in plasma samples of patients with advanced EGFR-mutated lung adenocarcinoma, but ddPCR was more sensitive than Cobas. Analysis of cell-free DNA from blood for identifying genomic changes in the tumor of patients with advanced NSCLC is becoming more and more important. Different technologies are available for EGFR mutation detection in cell-free plasma DNA from NSCLC patients. Droplet digital PCR is more sensitive than Cobas®EGFR Mutation Test v2 for detecting EGFR T790M mutations in cell-free plasma DNA. Patients with advanced epidermal growth factor receptor (EGFR) mutated lung adenocarcinoma are treated with first- or second-generation EGFR tyrosine kinase inhibitors (TKIs). Approximately 50–75% of these patients, however, will develop the p.Thr790 Met (T790M) resistance mutation . Osimertinib, a third-generation EGFR-TKI, inhibits activating-EGFR mutations and the T790M mutation but spares wild-type EGFR . The clinical value of osimertinib was demonstrated in two phase III trials [3, 4]. In the AURA3 trial, osimertinib showed a PFS benefit over platinum-based chemotherapy in advanced EGFR-mutated non-small-cell lung cancer (NSCLC) patients who had developed T790M-mediated resistance under treatment with EGFR-TKIs . Based on this trial, osimertinib has been approved for these patients. The presence of the T790M resistance mutation in tumor cells or cell-free plasma DNA has to be proven prior to initiation of second-line treatment with osimertinib. The FLAURA phase III trial demonstrated a PFS benefit for osimertinib compared to erlotinib or gefitinib in the first-line treatment of NSCLC patients with EGFR exon 19 deletions or L858R mutations independent of the T790M status . Subsequently, osimertinib was approved as a first-line treatment of patients with metastatic NSCLC whose tumors have EGFR exon 19 deletions or L858R mutations, as detected by a US Food and Drug Administration (FDA)-approved test. While initial studies analyzed EGFR mutations in tumor biopsies, several studies suggested that the analysis of cell-free plasma DNA is a clinically useful alternative [5, 6, 7, 8]. The analysis of cell-free plasma DNA from blood samples (liquid biopsy) supported by tumor tissue analyses in plasma-negative cases may now be the preferred strategy to select EGFR-mutated NSCLC patients for osimertinib treatment [6, 7, 8]. At present, the semiquantitative PCR-based Cobas®EGFR Mutation Test v2 (Cobas) (Roche Molecular Systems, Pleasanton, CA, USA) is one of the FDA-approved plasma genotyping assays . Highly sensitive genotyping assays, such as droplet digital polymerase chain reaction (ddPCR), can also reliably detect mutations in cell-free plasma DNA with high sensitivity and specificity [6, 7, 8]. The aim of our study was to compare ddPCR with Cobas with regard to their ability to detect three common EGFR mutations (T790M, exon 19 deletions, and L858R) in cell-free plasma DNA. Patients with advanced EGFR-mutated lung adenocarcinoma were recruited at the Department of Respiratory and Critical Care Medicine, and Ludwig Boltzmann Institute of COPD and Respiratory Epidemiology, Otto Wagner Hospital, Vienna and Wilhelminenspital, Vienna between February 2016 and August 2017. All patients had histologically confirmed lung adenocarcinoma with EGFR mutations in their initial biopsy at diagnosis. Blood samples for plasma genotyping were collected within the scope of diagnostic routine procedures and were available in all patients. Plasma genotyping using ddPCR was performed at the Institute of Cancer Research, Department of Medicine I, Medical University of Vienna. The Cobas test was conducted at the Institute for Pathology and Bacteriology, Otto Wagner Hospital, Vienna. Sample collection and analysis was performed in accordance with the local ethics committee (EK No. 1132/2016). All patients gave their written informed consent for providing blood specimens for plasma genotyping. Sixty-one patients had been included in a previous study on plasma DNA analysis for guiding osimertinib treatment . Blood processing for plasma preparation and storage was performed as previously described . Briefly, blood samples were collected in cell-free DNA blood collection tubes (BCTs) (Streck, La Vista, NE, USA) or cell-free DNA Blood Collection Tubes (Roche, Pleasanton, CA, USA). Two blood samples (8 ml each) were collected from all patients at each time point. One sample was analyzed with ddPCR (Bio-Rad Laboratories, Hercules, CA, USA) and the other one with Cobas (Roche Molecular Systems, Pleasanton, CA, USA). To isolate plasma, whole blood was centrifuged at 200g for 10 min and subsequently at 1600g for 10 min. Finally, the supernatant was collected and centrifuged at 1900g for 10 min. For ddPCR, cell-free plasma DNA was extracted from 2 ml plasma using the QIAamp circulating nucleic acid kit (Qiagen, Venlo, The Netherlands) according to the manufacturer’s instructions. For the Cobas assay, extraction of cell-free plasma DNA was performed from 4 ml of plasma using the Cobas® cfDNA Sample Preparation Kit according to the manufacturer’s instructions. T790M, exon 19 deletions, and L858R mutations were assessed by using the QX-200™ ddPCR system (Bio-Rad, Hercules, CA, USA) and the Cobas z 480 Analyzer according to the manufacturer’s instructions. The Cobas test determines several activating EGFR mutations (including exon 19 deletions and the L858R mutation) and the T790M resistance mutation simultaneously in one assay, whereas testing with ddPCR requires specific assays for each EGFR mutation. Primer and probes for ddPCR assays were custom-made by Life Technologies (Carlsbad, CA, USA) and used as previously described . Analysis of ddPCR data was performed with QuantaSoft analysis software (Bio-Rad). Results were reported as copies of mutant allele per ml of plasma. All ddPCR assays were analyzed in triplicate and results were reported as copies of mutant allele per ml of plasma. The threshold for positivity was > 1 copy/ml for T790M, exon 19 deletions, and L858R mutations. Comparison of the copy number ratio of T790M and activating mutations with response to osimertinib was done with the Kruskal–Wallis-Test. All statistical data were analyzed with IBM SPSS Statistics software, version 23 (SPSS, IBM Corporation, Armonk, NY, USA). In total, 354 plasma samples from 129 patients with advanced EGFR-mutated lung adenocarcinoma were analyzed simultaneously for T790M by both ddPCR and Cobas. The blood samples were collected at different time points and stages during the course of the disease. The number of longitudinal samples obtained from each patient varied between one and eight samples. Characteristics of patients are summarized in Table 2. All patients had lung adenocarcinoma histology, stage IV disease, and had been treated with at least one EGFR-TKI prior to collection of blood samples. Seventy-seven T790M-positive patients (60%) were treated with osimertinib. Exon 19 deletions were determined simultaneously by both assays in 196 samples obtained from 71 patients with confirmed exon 19 deletion in tissue at the time of diagnosis. L858R mutation was assessed in 124 samples of 44 patients with confirmed L858R positive tissue genotype at diagnosis (including one L858R/S768I and one L858R/Exon 18 double mutation). The samples of 14 patients with rare EGFR mutations (Table 2) were examined by ddPCR only for the presence of the T790M mutation. T790M testing by ddPCR was performed in all 354 plasma samples collected from 129 patients (Table 3). T790M was detected in 53 of 129 (41%) patients and in 71 of 354 (20%) plasma samples (Table 3a). The T790M copy number in the 71 samples ranged from 1.5 to 6285 copies/ml (Fig. 1a). Exon 19 deletions were detected in 40 of 71 (56%) patients and 72 of 196 (37%) samples (Table 3b). L858R was found in 23 of 44 (52%) patients and 42 of 124 (34%) plasma samples (Table 3c). The lower frequency of EGFR mutations in these plasma samples compared to the literature and our own data may be explained by differences in treatment status between the present study and others. In our study, a substantial number of samples were obtained from patients who achieved a complete response during EGFR-TKI treatment. Using the Cobas assay, T790M was detected in 17 of 129 (13%) patients and 20 of 354 (6%) plasma samples (Table 3a). Exon 19 deletions were detected in 36 of 71 (51%) patients and 63 of 196 (32%) samples (Table 3b). L858R was found in 21 of 44 (47%) patients and 35 of 124 (28%) plasma samples (Table 3c). Contingency tables for each EGFR mutation detected by ddPCR or Cobas are presented in Table 3a–c. The concordance rate, sensitivity, and specificity between ddPCR and Cobas was dependent on the type of EGFR mutation. With regard to T790M, 51 of 354 (14%) plasma samples were positive with ddPCR but negative with Cobas (Table 3a). T790M positivity in ddPCR-positive but Cobas-negative plasma samples ranged from 1.5 to 52 copies/ml. Except for two cases, the mutant copy numbers in the 51 discordant samples (ddPCR positive/Cobas negative) were below 25 copies/ml, which is the detection limit of Cobas. All samples that were T790M positive with Cobas were also positive with ddPCR (Fig. 1a). These results led to a concordance rate of 86%, a sensitivity of 100%, and a specificity of 85% (Table 3a). Among 196 samples tested for exon 19 deletions with both platforms, 14 samples were ddPCR positive/Cobas negative (exon 19 deletion-positivity ranged from 2 to 136 copies/ml) and five samples were ddPCR negative/Cobas positive (Table 3b). With regard to exon 19 deletions, the comparison of ddPCR and Cobas resulted in a concordance rate of 90%, a sensitivity of 92%, and a specificity of 89%. In 124 samples, the L858R mutation was analyzed by both platforms. Comparison revealed 14 discordant results including ten samples that were ddPCR positive/Cobas negative (L858R-positivity ranged from 1.3 to 226 copies/ml) and three samples that were ddPCR negative/Cobas positive (Table 3c). With regard to L858R, comparison of ddPCR and Cobas revealed a concordance rate of 90%, a sensitivity of 91%, and a specificity of 89%. At the time of disease progression to first- or second generation EGFR-TKI therapy, 50 out of 129 (39%) patients were analyzed for T790M in the plasma. In the remaining 79 (61%) patients, the feasibility of treatment monitoring was investigated. In patients who had progressive disease, 33 of 50 (66%) were T790M positive using ddPCR and the T790M copy number ranged from 1.6 to 6285 copies/ml (Fig. 1b). The copy number ratio of T790M and activating mutations ranged from 0.01 to 6.85. In ten patients only T790M but not the corresponding activating mutation was detected (six patients with exon 19 deletions and four patients with L858R). In patients with progressive disease who were tested with Cobas, 12 of 50 (24%) were T790M positive and the corresponding semi-quantitative index (SQI) values ranged from 5.0 to 13.61. The T790M positivity rate in patients who were tested for the purpose of treatment monitoring was 27% (21/79) using ddPCR, but only 6% (5/79) using Cobas. In 20 of 50 (40%) patients with disease progression an additional tissue re-biopsy was available and T790M was detected in six out of the 20 (30%) cases. All of the six patients who were T790M positive in tissue analyses were also positive in plasma using ddPCR for mutation detection but negative when the Cobas test was used, whereas in the ten patients who were T790M negative in the tissue re-biopsy, five were T790M positive using ddPCR and three were T790M positive using Cobas (these patients were also T790M positive with ddPCR). In four patients the tissue re-biopsy was not evaluable. Thirty-two of the 33 T790M-positive patients who were tested with ddPCR and who progressed under treatment with a first- or second-generation EGFR-TKI received osimertinib. The response rate in 28 of 32 patients who were evaluable for response was 61% (Table 4). The response rate was 44% in nine patients who were T790M positive in both ddPCR and Cobas analysis and 68% in 19 patients who were T790M positive with ddPCR but negative with Cobas (Table 4). The copy number ratio of T790M and activating mutations was not significantly associated with response to osimertinib. Patients who responded to osimertinib therapy had a median copy number ratio of 0.27 compared to 0.08 in patients who did not respond to osimertinib (p = 0.2). In the present study, we compared the performance of ddPCR and Cobas for detecting T790M, exon 19 deletions, and L858R mutations in plasma samples from patients with advanced EGFR-mutated lung adenocarcinoma. We demonstrated that ddPCR detected a substantially higher number of T790M mutations in plasma samples compared to Cobas, whereas differences between ddPCR and Cobas were smaller in case of exon 19 deletions and L858R. We and others have previously shown that ddPCR is highly sensitive, allows absolute quantification of mutations, and is clinically useful for the detection of EGFR mutations in cell-free plasma DNA and clinically relevant for selecting patients for osimertinib treatment [6, 7, 8]. The biggest advantage of ddPCR is its high sensitivity and specificity, while a major disadvantage is its limited multiplexing capacity. The Cobas® EGFR Mutation Test v2 is a real-time PCR test for the qualitative detection of 42 mutations in the EGFR gene . It has been approved by the FDA as companion diagnostic to erlotinib and osimertinib for the detection of T790M, exon 19 deletions, and L858R mutations in tissue and plasma. The clinical utility of the Cobas® EGFR Mutation Test v2 for T790M detection has been previously shown in cell-free plasma DNA samples obtained from patients who had been enrolled in the AURA3 phase III trial . 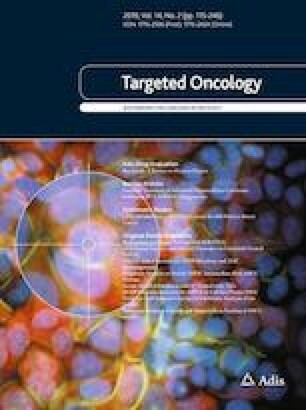 A cross-platform comparison of different technologies (cobas®EGFR Mutation Test, Therascreen™ EGFR ARMS-PCR, ddPCR, BEAMing dPCR) for EGFR mutation detection in cell-free plasma DNA from NSCLC patients revealed that, at least for the T790M mutation, the digital platforms outperformed the non-digital platforms , which is in line with our findings. In the study by Thress et al., EGFR mutation status was analyzed with the four different plasma assays in 38 plasma samples from the AURA trial and the results were compared with tissue test results . Similar to our results, this comparison showed that ddPCR has a higher sensitivity in detecting the T790M mutation than Cobas. Furthermore, cobas®EGFR Mutation Test and BEAMing dPCR were performed in 72 additional plasma samples. The two platforms demonstrated high sensitivity (82–87%) and specificity (97%) for EGFR-sensitizing mutations. For the T790M mutation, BEAMing dPCR had a higher sensitivity than the cobas®EGFR Mutation Test (81% vs. 73%). However, the concordance between the two platforms was 90% for T790M, 90% for exon 19 deletions, and 93% for L858R. In our larger study, we observed a similarly high concordance between ddPCR and Cobas – 86% for T790M, 90% for exon 19 deletions, and 89% for L858R. Nevertheless, ddPCR is more sensitive than Cobas in detecting T790M, exon 19 deletions, and L858R mutations. Differences in mutation detection between Cobas and ddPCR were most evident for T790M testing. Fifty-one samples were T790M positive if assessed with ddPCR but T790M negative if tested with Cobas. Interestingly, 49 of these samples had a copy number below 25 copies/ml and 41 had a copy number below 10 copies/ml. The relatively high limit of detection of Cobas for the T790M mutation (25 copies/ml for intact DNA and 100 copies/ml for truncated DNA fragments of 200 bp) may explain the smaller number of T790M-positive samples detected using this method. Our results are clinically meaningful because the T790M positivity rate of the 50 patients who progressed under treatment with an EGFR TKI was 66% in the present study, which is in line with previous reports from us and others [8, 11, 12, 13]. In addition, all six patients who were T790M-positive in tissue analyses were also positive in plasma using ddPCR for mutation detection but negative when the Cobas test was used. Finally, the response rate in 28 evaluable patients who received osimertinib was 61%, which is also similar to previous findings [3, 8]. The detection of low T790M copy numbers (< 10 copies/ml) may be clinically relevant because we have previously shown that these patients have a similar response to osimertinib compared to patients with a higher T790M copy number (> 10 copies/ml) . Thus, in an important fraction of patients with advanced EGFR-mutated NSCLC who had progressed under treatment with an EGFR-TKI and who would benefit from osimertinib, T790M is not detected by Cobas. In summary, we observed a high concordance between ddPCR and Cobas in detecting EGFR mutations in plasma samples of patients with advanced EGFR-mutated lung adenocarcinoma but ddPCR was more sensitive than Cobas. Open access funding provided by Medical University of Vienna. The study was funded by AstraZeneca. Open access funding provided by Medical University of Vienna. Anna Buder has received honoraria from AstraZeneca. Maximilian J. Hochmair has received honoraria from AstraZeneca, Bristol-Myers Squibb, Boehringer Ingelheim, Merck Sharp & Dohme, Pfizer, and Roche and had consulting or advisory roles with Boehringer Ingelheim, Merck Sharp & Dohme, Novartis, and Roche. Klaus Kirchbacher received honoraria from AstraZeneca, Boehringer Ingelheim, Pfizer, and Roche. Otto C. Burghuber received honoraria from AstraZeneca, Boehringer Ingelheim, Glaxo Smith Kline, Menarini, Chiesi, Takeda, Roche, and Novartis. Robert Pirker has received honoraria from AstraZeneca, Boehringer Ingelheim, and Clovis. Martin Filipits has received honoraria from Astra Zeneca, Boehringer Ingelheim, Eli Lilly, Merck Sharp & Dohme, Novartis, Ratiopharm, and Roche. Ulrike Setinek, Sophia Schwab, and Andrea Keck declare that they have no conflicts of interest that might be relevant to the contents of this manuscript.